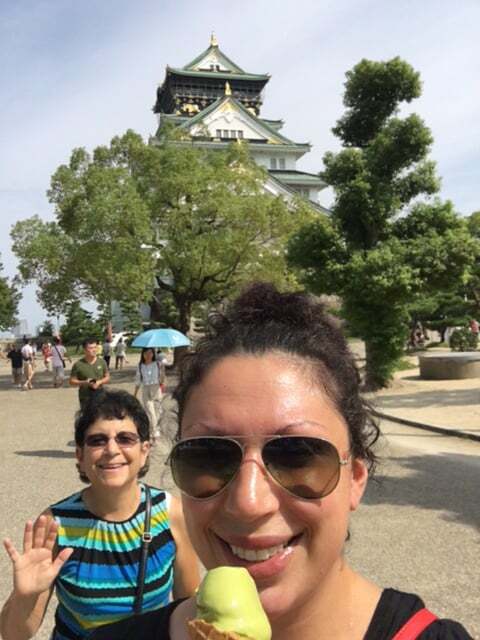 Recently, I had the opportunity to travel to Japan with my mom, Nancy Kavazanjian, who is a director on the United Soybean Board (USB). She was invited to be a part of the 60th anniversary of the Japanese/American soybean trade partnership that took place in Tokyo, on September 12. I was fortunate enough to also be invited to participate in the events sponsored by the United States Soybean Export Council (USSEC). We arrived in Japan a few days early in order to travel to Kyoto and Osaka. With about 24 hours in each city, we tried to experience as much cultural immersion as possible. That meant eating the local cuisine, and seeing as many sites as possible which resulted in us walking nearly 12 miles in one day! In Kyoto we made it to about a half a dozen shrines and temples as well as the Imperial Palace. We also visited the indoor market that was lined with vendors offering everything from fresh fish to vegetables and sweet treats such as matcha green tea ice cream. Osaka is known as the “kitchen” of Japan and is a foodie’s paradise. We spent the evening downtown where everyone was eating street food including one of the local specialties, fried octopus (Takoyaki). We also visited the Osaka castle that is filled with so much history I wouldn’t even know where to begin. However, the purpose of the trip was to participate in the events surrounding the 60th anniversary of the Japanese and American soybean partnership. In preparation for the events, we were briefed on the history and present day trade partnership, we also learned a great deal about their diets and the role American soybeans play in Japan. The American Soybean Association (ASA) opened its first office overseas in Tokyo, Japan in 1956. 70% of soybeans in Japan are supplied by American farmers. The target audiences for American soybeans include, soybean crushing industry, animal producers (swine and poultry) and soy food processors. Japanese spend about 20% of their income on food versus Americans who spend less than 10%. Most people eat breakfast and dinner at home and the majority of these meals are prepared food that can be reheated in the microwave. An estimated 40 million people will visit Japan within the next three years, leading up to the summer Olympic Games in 2020. This will increase the demand for oils, including soybean oil. The Japanese people do not want genetically modified soy foods and have strict labeling laws. The Japanese also demand safe foods as well as they want to know the story behind their food. Not very different from American consumers! Japan has more Michelin star restaurants than France and their retail food, beverage and restaurant sector is worth more than $650 billion. They are serious about food. The average person in Japan eats 1,000 calories less than the average American. The specific events of the 60th anniversary celebration were focused around women in agriculture and business. In the morning we participated in a round table discussion with several other women from the United States who grow soybeans as well as Japanese women who work in the soy industry. In the evening a press conference was held in which the local food media attended and heard from several of the U.S. women farmers. Then to top it all off, we had the chance to meet the U.S. 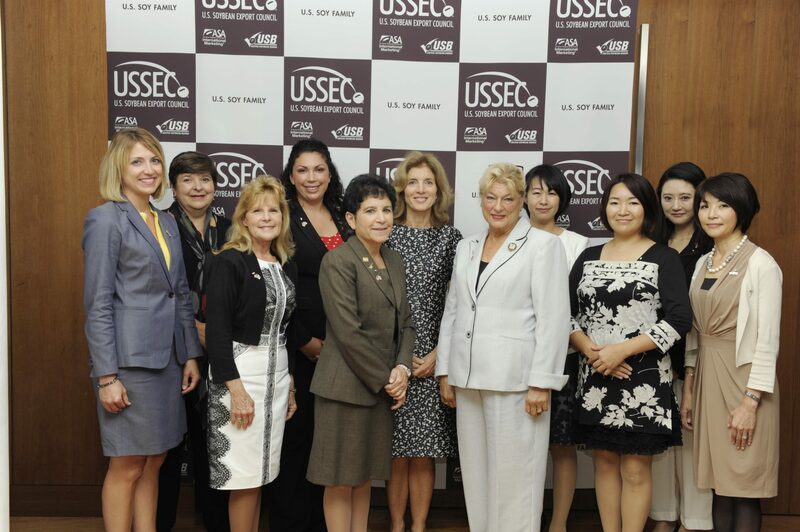 Ambassador to Japan, Caroline Bouvier Kennedy, who is working to promote women in business and women entrepreneurs in Japan. Although I am no stranger to international travel, I had forgotten how important it is to discover other cultures. The Japanese people were among the most respectful and inviting people I have ever met. Along with their amazing food and the cleanliness in even the big cities, I would put it in my top three countries to visit and I hope to get back someday. Often times we get so wrapped up with what’s going in our own little bubble, we forget that we are part of something bigger. I encourage everyone to get out of your comfort zone and travel, especially if the products you are producing on your farm are being imported by another country. Be an international ‘ag’vocate! To learn more about the United States Soybean Export Council visit: USSEC.ORG. 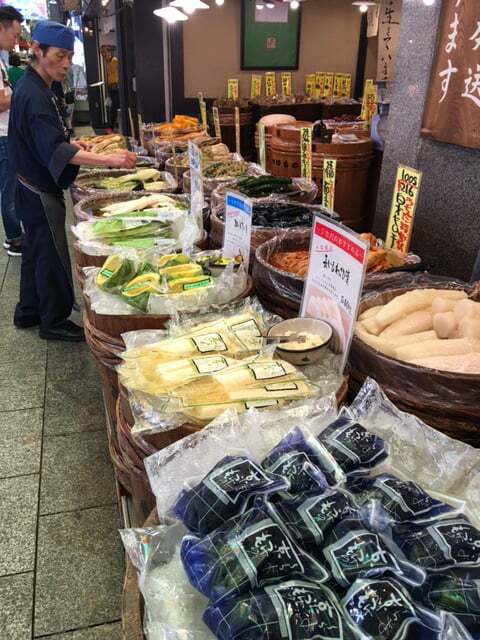 Top photo caption: The fresh market in Kyoto. Middle photo caption: Selfie in front of the Osaka castle with a matcha green tea ice cream treat. Bottom photo caption: The U.S./Japanese women met the Japanese ambassador Caroline Kennedy before a press conference honoring the 60 year trade partnership between the two countries.